Cops are asking the public for help in identifying three women who stole merchandise and attacked a security guard at Yves Saint Laurent, 11 East Walton, on Wednesday evening. 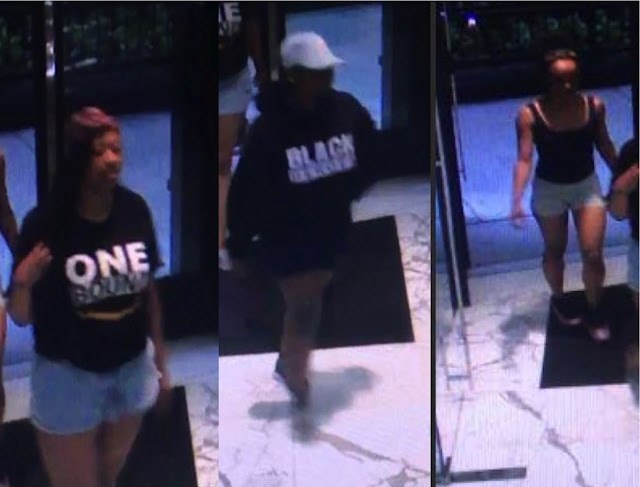 Around 6:30 p.m., the three women shown above entered the store at the Waldorf Astoria and collected an estimated $12,000 worth of purses according to a police report. A security guard who confronted the crew was pepper sprayed and punched in the face by the offender seen wearing a blue hat, police said in a community alert. The three then left the store southbound on Rush Street and escaped in a black vehicle. Anyone with information about the suspects is asked to call Area Central investigators at 312-747-8380. Facts first. Community-funded. No influencers. Please support CWBChicago today.